Showing results 11 - 15 of 29 for the category: REconomy Project. Today sees the publication of what may well turn out to be one of the most important documents yet produced by a Transition initiative. Over the next few weeks we will be returning to it, to hear a range of perspectives on it, and hope it will generate debate and discussion. 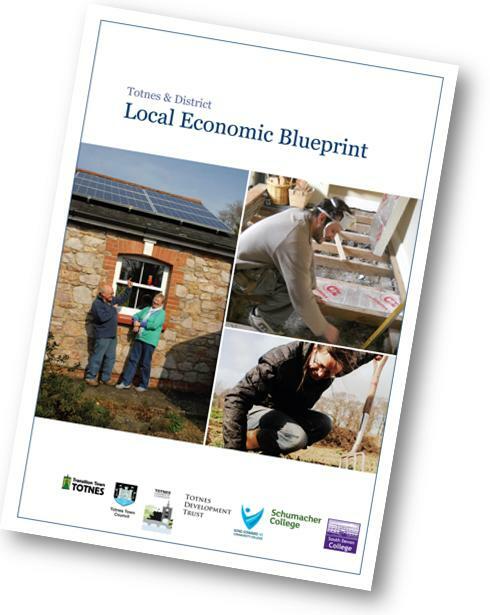 The document is the ‘Totnes & District Local Economic Blueprint‘, and you can download it for free here. The Blueprint is the first attempt that I am aware of to map in detail a local economy and to put a value on the potential benefits of an increased degree of localisation. If you like, it identifies “the size of the prize” of Transition. “Something remarkable is happening in Totnes. Something that is starting to be noticed elsewhere, something that’s a vitally needed story in communities up and down the country. 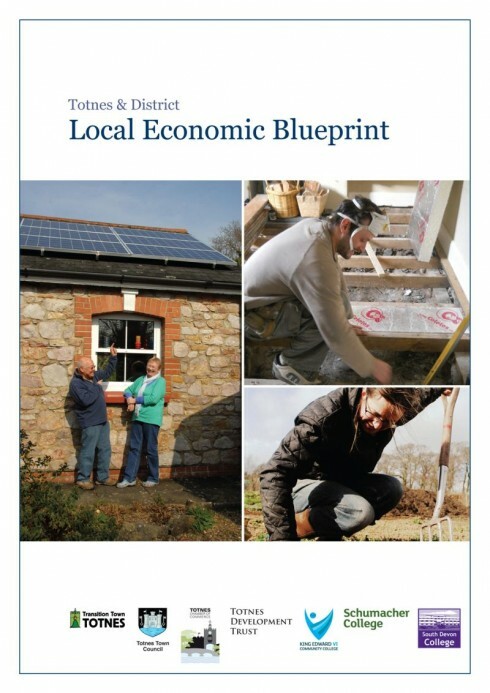 Greg Barker MP, former Minister for Communities and Local Government, noticed it recently when he told Parliament “what Totnes does today, the rest of the country will do tomorrow”. The Western Morning News noticed it when they ran a lead editorial called “Hippy town comes of age”. Chef and campaigner Hugh Fearnley-Whittingstall noticed it recently when he spoke of Totnes “blazing a trail for those who are interested in finding new heart in their community”. 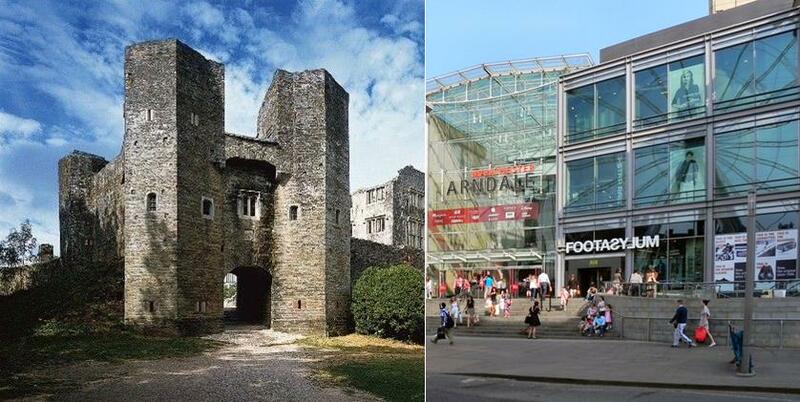 Berry Pomeroy Castle near Totnes is famed for supposedly being one of the most haunted castles in Britain. It is said that the ghosts can still be seen of the Pomeroy brothers riding to their doom over the castle cliffs to avoid losing the castle following a siege. Or there’s the Blue Lady, reputed to be a Pomeroy who strangled the child conceived with her father, or the White Lady, who was supposedly shut up in a dungeon by her jealous sister and whose ghost now walks the walls at night. None of these phantasms has any basis in history though: there never was a siege, the guy who first wrote about the Blue Lady said he had seen her in the Castle even though at the time of writing it had already been in ruins for many years, and the White Lady is the creation of a Gothic tale first published in 1806. The truth about the castle is less supernatural and exciting but a fair bit more interesting. I am just back from 3 days in Germany, and great fun it was too. I spoke on Wednesday evening in Bonn at an event organised by Bonn im Wandel (Bonn in Transition) at the University there, and on Thursday evening I was the guest of the Heinrich Böll Foundation in Berlin. I am currently teaching myself to make short films, and here is my first (I’m doing a proper course in 2 weeks). Nothing fancy but hopefully it captures some of the spirit of both events.